All Inclusive Packages – Why They Simply…Well, Work! Home/All Inclusive Packages – Why They Simply…Well, Work! Do you have enough “work” at work? Don’t feel like taking hours to plan what you are going to do or where you are going to eat on your holiday? 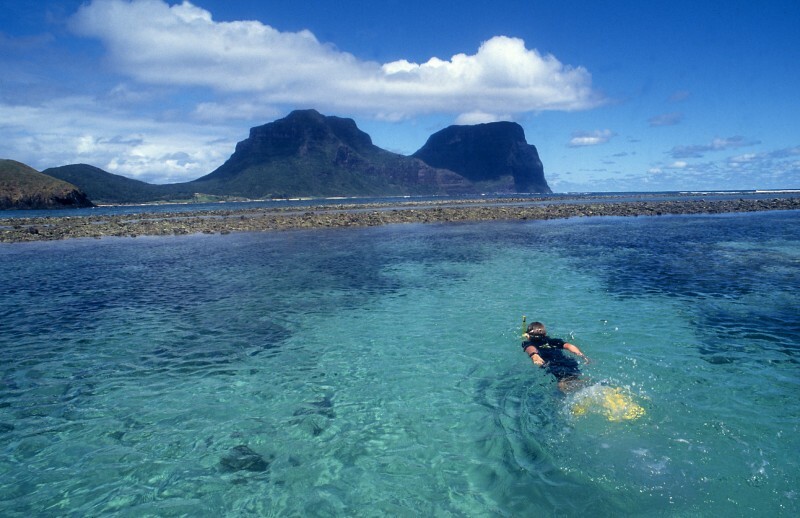 Join one of our Lord Howe Island ‘all inclusive’ weeks. We have done the planning for you, all you need to do is arrive and start having fun. Our ‘all inclusive’ weeks are hosted on the island by Marine Adventures and have daily activities pre-arranged……..don’t worry you get some free time as well!! You also have your breakfast & dinner included each day. Breakfast will at the same place each morning whilst your dinners are at a variety of island restaurants & cafes. Two lunches are also included, but you are able to arrange your own lunches for the rest of the week. 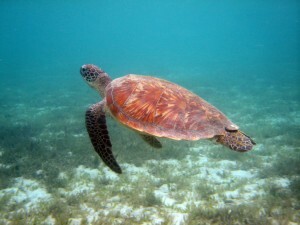 One of the most popular tours included is the fabulous full day North Bay Turtle & Nature tour. With your free time at North Bay why not jump into the pristine water for a swim or snorkel, this will be an experience you won’t forget. If you don’t want to get in the water you can go for a walk up to Mount Eliza, from which offers a spectacular view back across the lagoon with Mt Lidgbird & Mt Gower as a breathtaking backdrop. If you choose not to snorkel at North Bay you can still do this on your free time or jump in whilst you are on the coral viewing /snorkel tour. Throughout the week you will have various opportunities to view the island from both land and sea. On land, the island bus tour takes you to all corners of the island & whilst on the water the ‘around island cruise’ offers a variety of unique views of all those hard to get to places. Walks, historical movies and an Ian Hutton talk at the museum are some of the other highlights of the All Inclusive weeks. The ‘all inclusive’ weeks operate on set departure dates throughout the year. Your accommodation at Leanda Lei puts you in a great location, convenient to the island’s township and only 300 metres up the road from the lagoon, not far at all using the push bike included in your package. You even get to make some new friends with the other travellers who have also joined the week. Don’t panic, it is not a 46 seat coach load & there’s no tour leader waving a flag at the front of the group “we’re walking, we’re walking & now we are stopping, look to your left and we see…..“. This is Lord Howe Island don’t forget, not a European city tour. The numbers on your week will usually average around 14-20 people. So start planning, no you don’t need to do that, just check out our website and pick a week, get us to check the availability and prices and make a booking. That’s it….oh don’t forget to get the time off work… you do need to plan that.